What do you look for when choosing a company to install and service your AC/Heating system? When you call GVEC Home, you know who we are and that we’re here to stay. With more than 40 years of AC experience, we give you the edge when it comes to comfort, efficiency, longevity and installation. 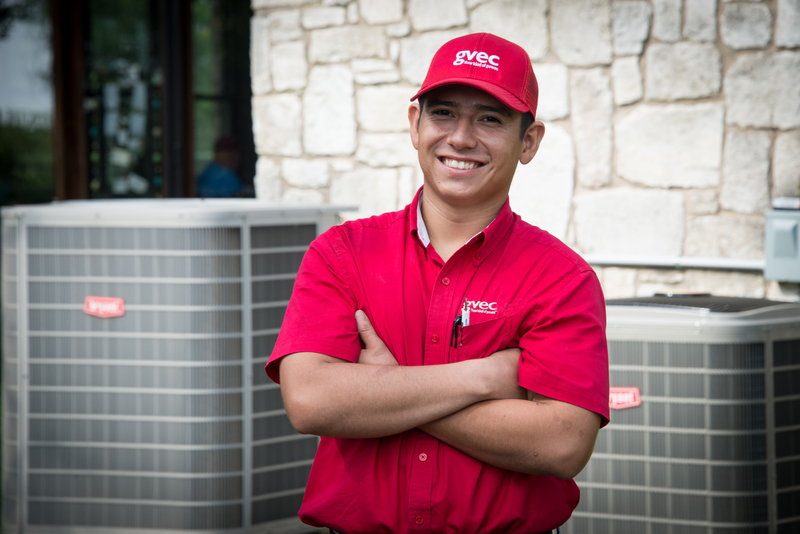 We not only offer you expertise in energy efficiency, but also the latest in advanced HVAC technology. Our systems are designed for high efficiency, quieter operation, improved home comfort and better air quality. Plus our trained technicians are GVEC employees, not contractors, and are background checked and drug-tested. GVEC offers exclusive financing to its qualifying members. Our on-bill financing program allows members to combine their monthly payments with their electric bill!